Captain Marvel (2019) is the latest blockbuster by Marvel Studios, and is the first Marvel film to solely focus on a female lead. Directed by Anna Boden and Ryan Fleck, this film stars Brie Larson in the lead role of Carol Danvers, a Kree who is on a journey to save her people, but then goes on a path to discover herself and face her past. 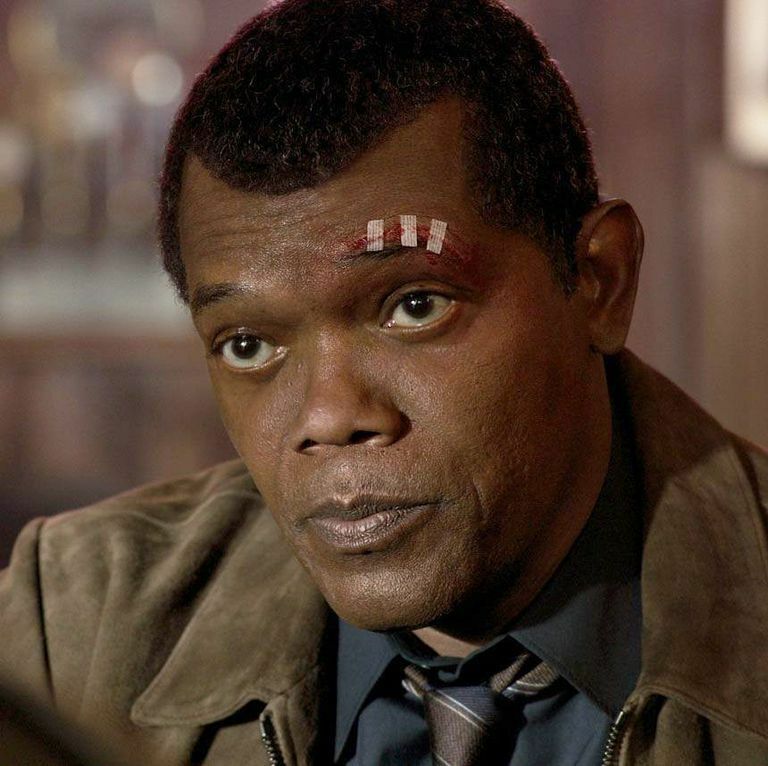 Set in the 1990s, she bumps into a younger Nick Fury (Samuel L. Jackson) as they learn more about the different races in the middle of an intergalactic battle between the Kree and the Skrulls. This film has become one of, if not the most, controversial films in the Marvel Cinematic Universe. Everyone has an opinion when it comes to Brie Larson as a casting choice as well as what she has said. This review is not here to judge Larson on her words, but any person reviewing the film now may have some bias over either what she said or what other critics have said about the film. It has been getting a lot of mixed reviews, with other critics pointing out a flawed storyline or a lack or entertainment. However, I have to overall disagree with the harsh ratings on this film. This is one of the more fun experiences I have had with a Marvel film in recent years, and I actually felt that the story was important and meaningful in the MCU. I had been getting some fatigue with Marvel, particularly after I found myself slightly disappointed by their previous entry, Ant-Man and the Wasp. Whilst the marketing campaign and advertisements did not seem all that exciting, Captain Marvel flew by very quickly and did not feel like it dragged for a second. In terms of Brie Larson, I felt her to be a strong choice to play Carol Danvers. She is definitely a badass, which is what she is going for. Is she a leader? No, but I do not think that is what Marvel are going for here. She seems more of a rebel or saviour than a leader, someone who will be there for the biggest battles such as the one in Avengers: Endgame. I didn't doubt Larson's acting ability for a second, considering that she is a Best Actress Oscar winner. I found her to be a strong lead in this film and overall she stands shoulder to shoulder with the likes of Samuel L. Jackson and Clark Gregg. I also really like how Marvel approached her origin story in this film. Having the film set in the 90s not only allowed for a change in style to the other Marvel films, but also allowed for some nice easter eggs to the 90s. There will be many people who were raised in the 90s who will feel totally nostalgic from this film. They also found a simple way to not only explore the battle between the Kree and Skrulls, but also what part Carol Danvers plays in this battle. There are a couple of issues that this film has, as other critics have already pointed out. It does take a bit of time to get fully immersed into the film, and there is this weird sequence that is not fully explained at the start of the film. It throws the beginning off track for a while, and it takes some time to fully understand where the story is going and how every part of the film connects. There are just some screenwriting aspects that could have been tightened up throughout the film to make it clearer to the general audience of what is currently going on. I also found that the film had some tonal shifts that were either drastic or trying to merge together. Whether it is the dark sequence at the very start to trying to mix a bit of comedy into a more serious part of the film, there were some jokes and moments that did not land as they were intended to. It seemed odd at times that the characters would be at peril, and then one of them would say a joke that just didn't land. Despite some tonal and story issues, I still found this to be the best non-Avengers Marvel film since Thor: Ragnarok. I loved how fresh Captain Marvel feels in comparison to the rest of the Marvel Cinematic Universe, and I will stand by Brie Larson's casting choice. It is nice to go back to pure origin stories, especially for a character that many people will not know the origin of. This was a joy to watch and I cannot wait to get this one home and watch it again.